Your online users probably jump from one device to another when they interact with your business. 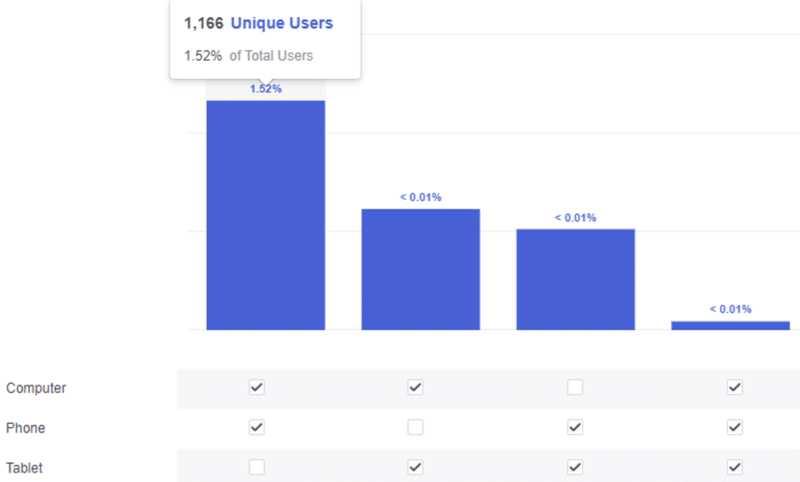 Learn how to track these users with Facebook Analytics. 2 – What’s the value of your Facebook posts for your conversions? One of the main advantages of Facebook Analytics is the fact that most Facebook users are always logged into Facebook on all their devices. This offers Facebook Analytics precise cross-device capabilities other analytics platforms lack. Let’s say you are an e-commerce manager and you wonder how many users browse products, add a product to the cart and make a purchase across multiple devices? You can go to the Activity, then Overlap report for the answer. Let’s do that. On which devices are your products first viewed? 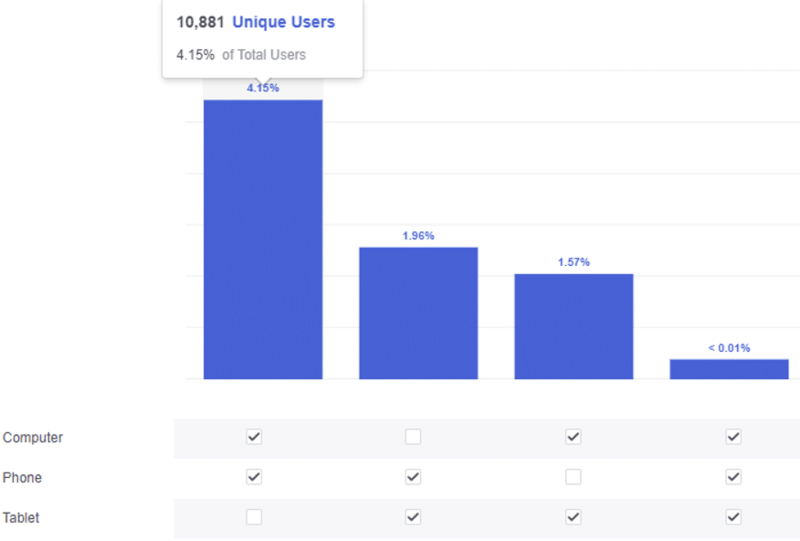 The first screenshot below, taken from one of the biggest e-commerce sites in Canada, shows you how many users viewed product pages across multiple devices. The selected period is Last 90 days. You can see that 5.11% of users (63,156 unique users) viewed a product page on both a computer and mobile device. 3.06% (37,777 unique users) viewed a product page on both a mobile and tablet device. Less than 0.01% (7,481 unique users) viewed a product page on all 3 devices. On which devices do users add your products to their cart? The second screenshot shows you how many users added a product to the cart over the same period (90 days). 4.15% of total users (10,881 unique users) added a product on both a computer and mobile device. On which device do users actually buy your products? The third screenshot shows you how many users purchased a product over the same period (90 days). 1.52% of total users (1,166 unique users) purchased a product on both a computer and mobile device. For this particular e-commerce business, very few users (between 1% and 5%) tend to use multiple devices to browse products, add products to their cart and make a purchase. This is just the tip of the iceberg of what you can do with the Overlap report. For example, you could go deeper by finding out which device has the highest cart abandonment rate and design a marketing plan to minimize that. This is the end of our Facebook Analytics series. If you found it useful, please share your experience in the comments below. Any feedback or questions are also welcome.